INDIANAPOLIS--Both Indiana Speaker of the House Brian Bosma and Senate Pres. Pro Tem David Long, top state Republican lawmakers, have called on Atty. Gen. Curtis Hill to resign. Both men said in a joint statement that they believe the women who came forward to say Hill touched them or spoke to them inappropriately at a party at AJ's in downtown Indianapolis, the night after the state's legislative session concluded. "We believe that the women who came forward with accounts of inappropriate behavior by Attorney General Curtis Hill in the early hours of March 15, 2018, are telling the truth regardless of the Attorney General’s denial of these allegations. 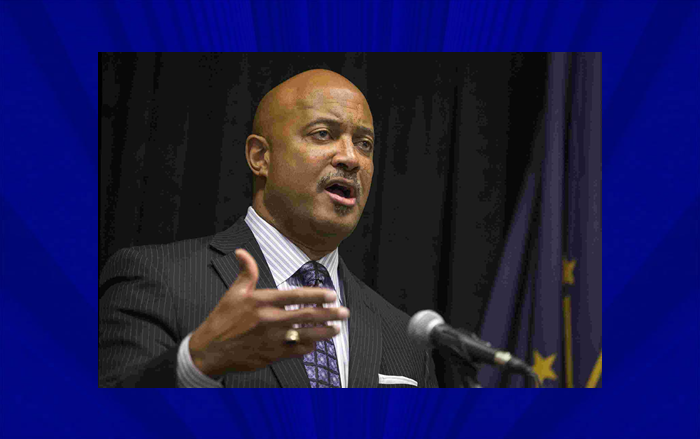 We do not believe that Curtis Hill, as chief law enforcement officer of the State of Indiana, can continue to perform his duties, nor should he, and we call for his immediate resignation," said the men. "We have further requested that the Indiana Inspector General thoroughly investigate these allegations. Sexual harassment is unacceptable at any time, in any place. It makes no difference that these incidents did not occur in a workplace environment. Curtis Hill is not our employee; if he was, he would already have been fired. Because we cannot terminate his employment, we ask instead for him to own up to his actions, apologize publicly to the victims, and tender his resignation immediately." Gov. Eric Holcomb joined Bosma and Long with a statement of his own.